The excitement of Christmas is really starting to build, and the big day is getting oh so much closer. In complete style, we continue our advent countdown with a few sleeping tips for the run up to the big day itself. Not sure about you, but we still get a few butterflies in our tummy awaiting Santa’s visit. So the Christmas Eve sleep we end up getting isn’t quite what we need for a full day of festivities. So here are a few sleeping tips to ensure you are on top form for the whole of Christmas day. Taking advice for the experts when it comes to sleeping tips is certainly advisable. Even though Christmas Eve sleeping is a little bit different, their professional tips can still work wonders. So here is where we turn to the Sleep Foundation. Now lots of their tips are for general life, but some of those apply to those christmas eve jitters. ‘Wind down. Your body needs time to shift into sleep mode, so spend the last hour before bed doing a calming activity such as reading’. We have a family tradition that every Christmas Eve we watch a film. But not just any film, it has to be a Christmas film! Perhaps this is the problem though – bright light stops you from sleeping easily. Do you have any Christmas family traditions? Tweet us at @Furl_Home. Perhaps reading might work for your family. ‘Sleep on a comfortable mattress and pillows. Make sure your mattress is comfortable and supportive’. Ahem to that! Of course this sounds pretty self explanatory, however you wouldn’t believe the amount of people that ‘make do’. Get yourself out and testing new mattress if you don’t absolutely love getting into yours. We have a lovely selection of mattresses to test and choose from. We recommend knowing nothing about them before testing them. So come on down to our London Showroom and give them a go. Delivery for this year may have passed, but there is nothing wrong with getting yourself ready for next year. Thanks professionals, but now we come to those weird and wonderful ways of falling asleep. It would be boring if it wasn’t weird wouldn’t it. Bedding Pal gives some sleeping tips away that are just pure genius. I mean seriously? That is the absolute opposite of what we are trying to do! However, they are totally, completely right, it works! Two rules though – you are not allowed to move around or watch TV. This is the absolute dream for us as it makes the build up to Christmas Day so much more exciting. Not forgetting the proven fact that Santa prefers to visit later to avoid you from hearing him! (Sorry). So following on from the weird and wonderful sleeping tips, now we just have the plain weird sleeping tips. Yes, we are going to try both of these on Christmas Eve this year. Don’t worry, we will aim to report back. ‘Eat a spoonful of raw organic honey before going to bed. Or for a savoury snack, eat two tbs of raw almond butter on celery’. We did warn you that it was weird. But it could become the new family Christmas tradition or perhaps even part of a game. The winner gets the honey, and the loser gets the raw almond butter on celery. What have you got to lose? ‘Take a cold bath or shower before going to bed’. Now this one seems more like the losers prize to us, but despite being weird, it works. Your body temperature lowers for sleeping, so this just speeds up the process a little. Hopefully you will be able to get a good nights kip before this years Christmas Day. So here’s to a happy 13th December. 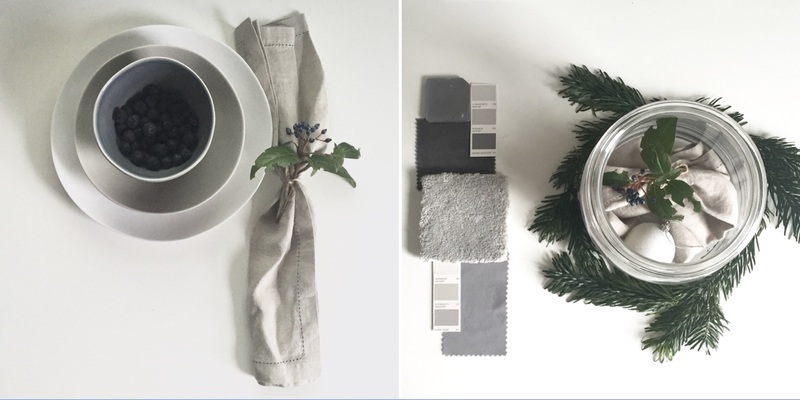 We thought we would leave you with a few bonus tips on the colours you should be using to decorate with. If you have a taupe or sand based home interior scheme, decorate with golds and white. 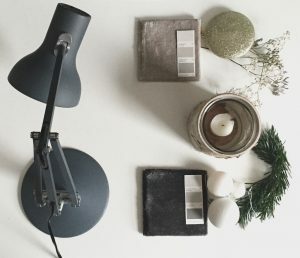 If you have a grey scheme, decorate with silver, white and green. No matter what your home colour scheme, make sure you throw in lots of candles. This is what makes Christmas magical.